New RVs For Sale Under $15,000? Yes! Owning an RV owner can be easier than you think! Here at Bill Plemmons RV World, we have a huge selection of new & used RVs for Sale Under $15,000. Begin your camping vacation right away with a new travel trailer from top name manufacturers such as Jayco, Dutchmen, Keystone and more! Whether you are in the market for a bunkhouse travel trailer, lightweight camper or a couple’s weekend getaway trailer, we have a large selection of RVs under $15k waiting to hit the road. At this low, introductory price point, you can start your RV adventure today! Take a look at some of the new budget friendly RV brands available now at Bill Plemmons RV. 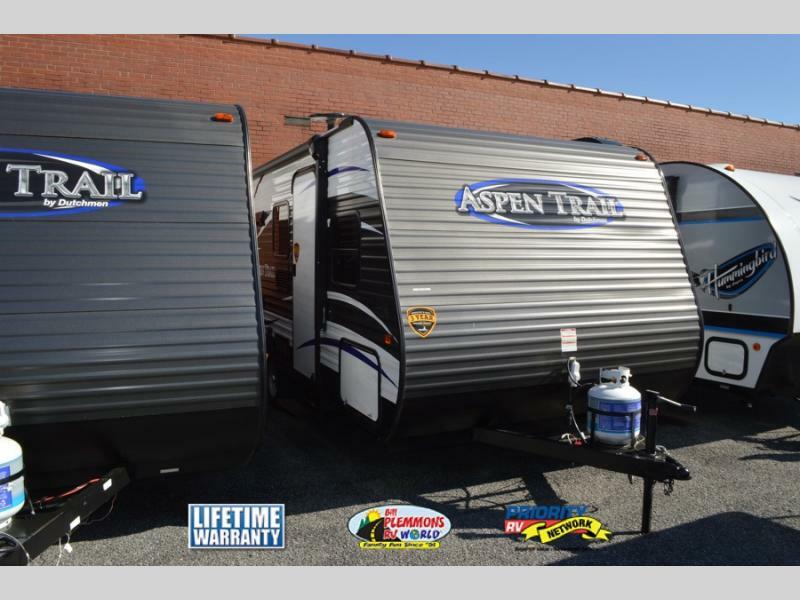 The Aspen Trail Travel Trailer is an affordable and comfortable RV choice for you and your family. The popular Aspen Trail 1700BH bunkhouse floorplan sleeps 5, has a full kitchen, bathroom, dinette table and an 82″ high ceiling for extra head space. 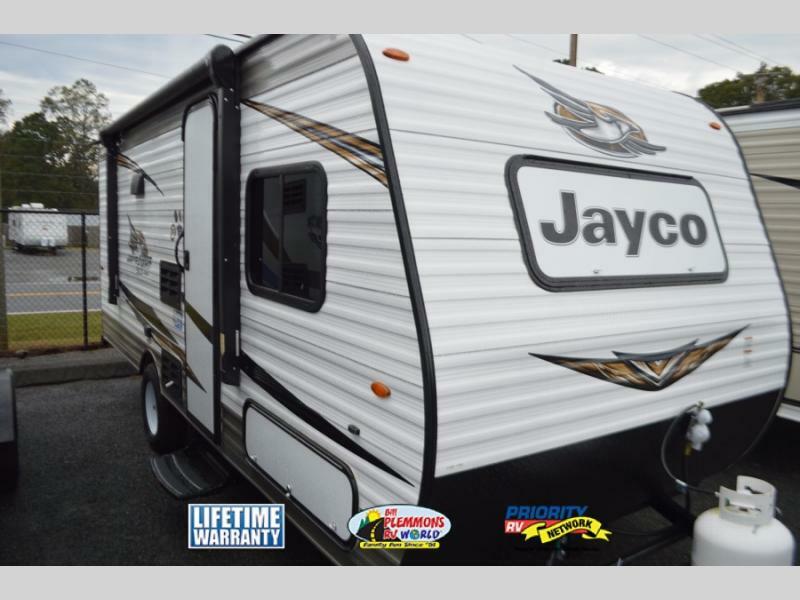 Enjoy the quality construction of a Jayco RV at an easy to own price with the Jay Flight SLX 7 Travel Trailer. These lightweight campers offer classic reliability and comfort. 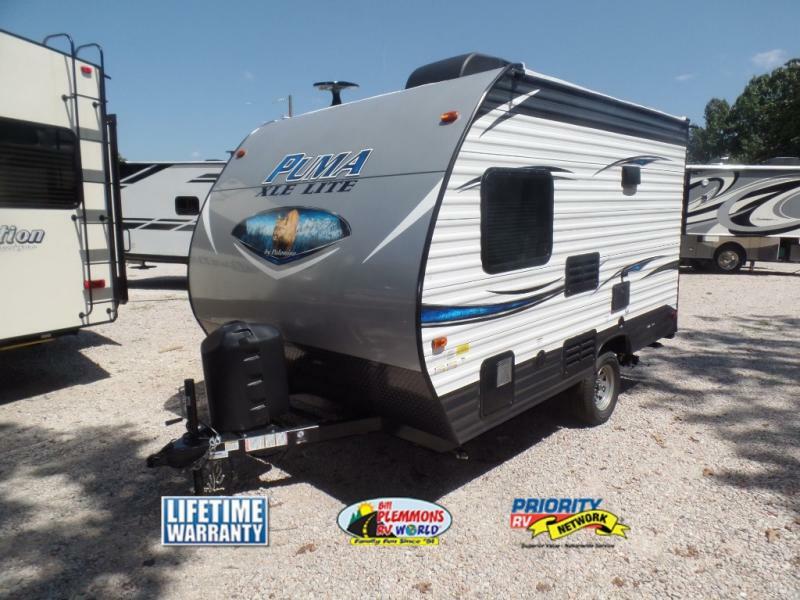 Get more for less with the Puma XLE Lite Travel Trailer. From the solid I-Beam frame, to the one-piece rubber roof and aerodynamic front profile, the Puma XLE camper is a value packed RV buy. 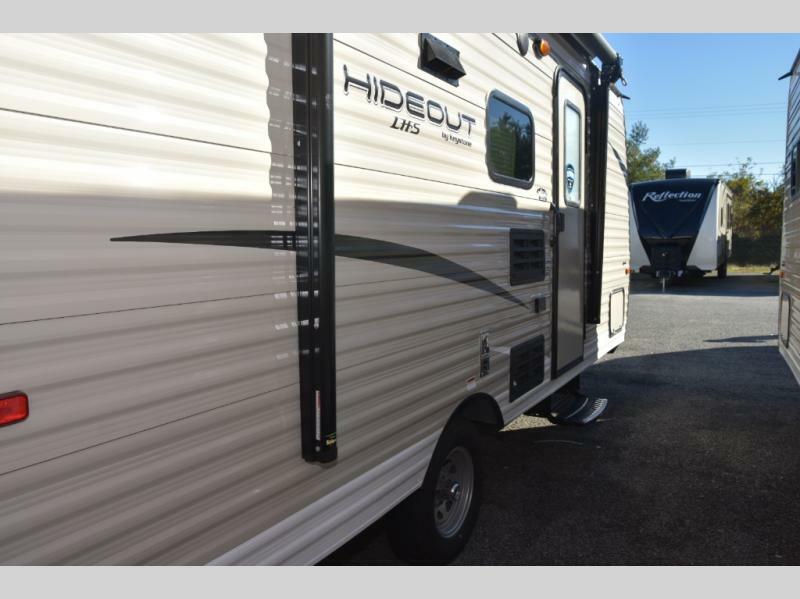 Get out on the open road with the super affordable Hideout Single Axle Travel Trailer in tow. Choose from a variety of space saving floorplans, perfect for a couple or family looking for an easy weekend getaway. Just hitch up and head out! In addition to new campers, we have plenty of Used RVs for Sale under $15,000 as well! Pre-owned RV inventory changes daily, so Contact Us for the latest used RVs deals in stock!